This entry was posted in Life in General, My Art & Writing and tagged #Ice Capades, anxiety, art, black and white, couture, fashion, friendships, humor, inspiration, poetry, skating, sketching, winter, writing. Bookmark the permalink. 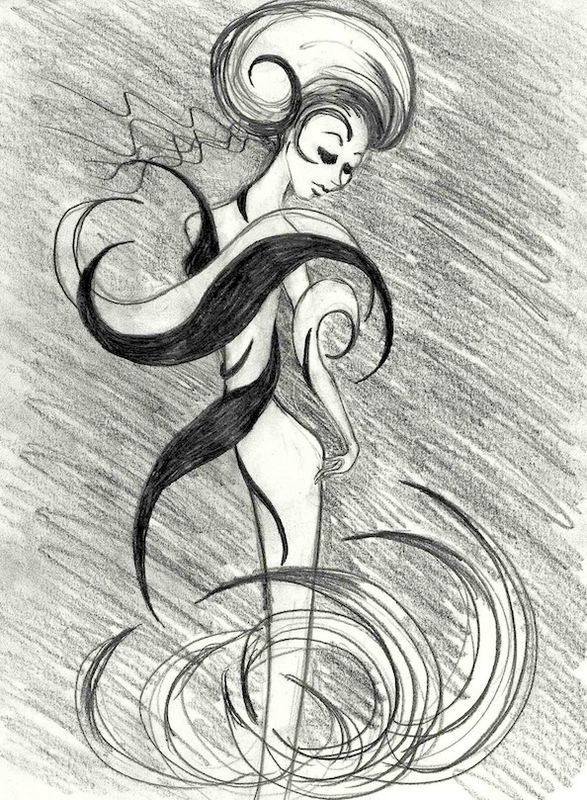 I love your Erte kick, and the beautiful flow and dynamic lines of your beauties.